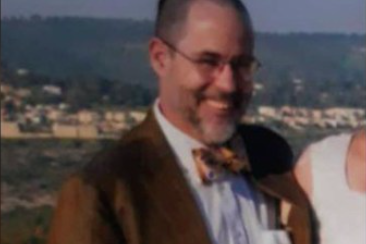 Dr. Jerry Rabinowitz, 66, was killed in the mass shooting at the Tree of Life Synagogue in Pittsburgh on Saturday, October 27, 2018. One of the 11 people killed in Saturday morning's attack at the Tree of Life Synagogue in Pittsburgh was an alumnus of the University of Pennsylvania. Dr. Jerry Rabinowitz, 66, was a two-time Penn student who received an undergraduate degree in biochemistry in 1973 and a medical degree from the Perelman School of Medicine in 1977, according to The Daily Pennsylvanian. He was originally from the Pittsburgh area and had been working as a geriatrician in Bloomfield. University president Amy Gutmann condemned the attack shortly after news broke of the targeted shooting. "What a sad and horrifying day it is for our entire country," Gutmann wrote on Facebook. "That these shootings and other acts of violence occur with such frequency is an ongoing national tragedy. Let us all not only condemn such senseless violence, let us all also come together as a nation and address the epidemic of hate that inspires such evil." Federal authorities have charged 46-year-old Robert Bowers in the attack, which also left six others, including four police officers, with serious injuries. Investigators said Bowers made anti-Semitic threats in the online chat community Gab — a formerly Philadelphia-based social media networking site that has since been shut down — and stated his wish to see all Jewish people die after opening fire at Tree of Life. A conviction on his charges could potentially lead to the death penalty or life in prison. Hundreds of people gathered at Rittenhouse Square for a vigil over the weekend, followed by a formal memorial at the Rodeph Shalom synagogue on Sunday evening. Another memorial was held Sunday at Temple Beth Hillel – Beth El synagogue in Wynnewood, Montgomery County. Penn Hillel will host a vigil for the victims in Pittsburgh at 4 p.m. Monday at the LOVE statue on College Green. Donations to support the victims of Saturday's shooting can be made at the link below.